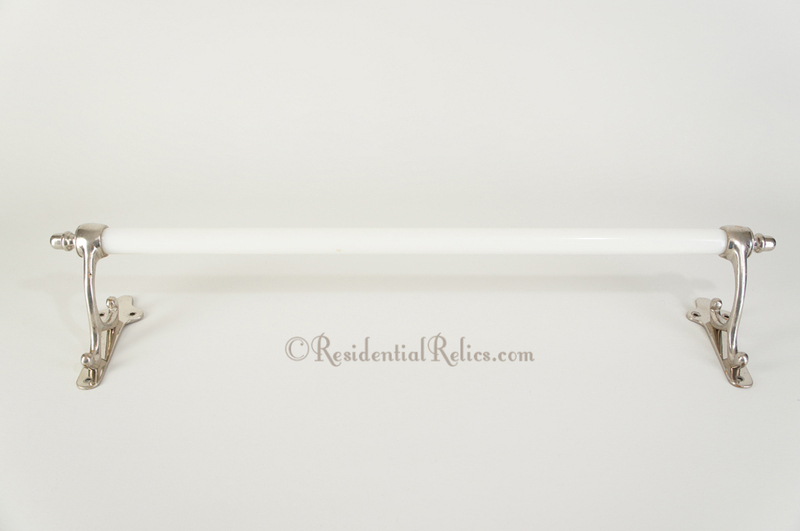 Antique white glass towel bar with fancy nickel brackets, circa 1910sShop our online catalog for a great selection of authentic antique and vintage lighting and hardware! 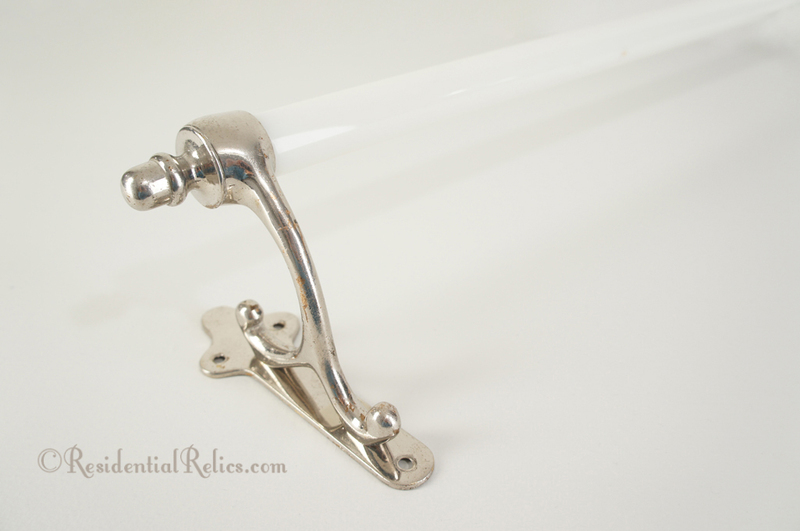 Exceptional antique white glass towel bar with fancy nickel-plated brackets. (Note that photos are a bit dark to fully capture glass elements.